Today enjoy a wild adventure in Bannerghatta National Park. The park is a unique relocation area for tigers and lions rescued from circuses in India. They can be seen in securely fenced areas within the 25,000 acres of the Bannerghatta National Park. See tigers, lions, leopards, elephants, various species of deer and other animals on safari tours within the park. The reptile house, Snake Park and children's corner are other attractions for tourists on a wild adventure tour of Bannerghatta National Park. Overnight at hotel. In the morning have your breakfast and ride with us to the exclusive locale of Mysore - the "Scotland of India." On arrival, check into the hotel, refresh yourself and then visit the Mysore Palace, Chamundi hills - Towering over the city are the Brindavan Gardens - A site to be loved. The musical fountains and colorful lights transform this place into a fairyland. Overnight at hotel. Full Day excursion to Ranganathittu Bird Sanctuary, situated on the banks of the Kaveri River. Enjoy seeing many species of birds including storks, herons, cormorants, egrets, darters, kingfishers and other water birds. Crocodiles and otters also live in the water surrounding the six islets that comprise the sanctuary. The picturesque Balmurli Falls are also a pretty sight. You can travel by boat along the Kaveri River to see the native and migratory birds nesting and feeding in the sanctuary. Stay overnight at the hotel. Drive to Nagarhole wildlife sanctuary, south of Mysore. Arrive and check in into the Tourist camp / lodge. Overnight at Hotel. Nagarhole National Park is situated 90km away from Mysore in Karnataka. Interestingly, these two sanctuaries for a part of Mudumalai Sanctuary in Tamil Nadu and Wayanad Reserve in Kerala. Nagarhole is a tiger's home and some of the rare wild species of India. This national park of India gets irrigated by the waters of Kabini river, which has a dam on it that separates Nagarhole from other sanctuaries in the surrounding area. Nagarhole National Park has sprightly wild life. 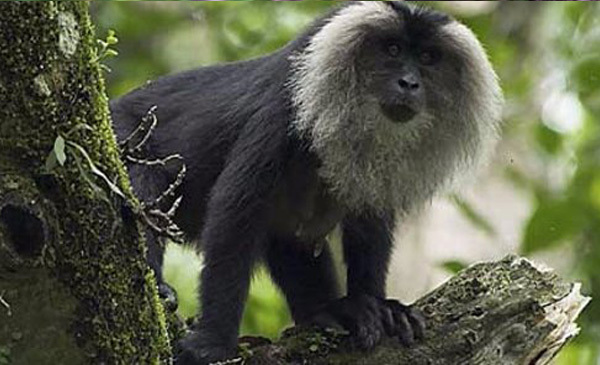 Among the animals found here, most of them are residents of Nilgiri Hills. Apart from Tigers, Niligiri Thar, Nilgiri Langur, bisons, leopards, asian elphants, wild boar, deer, dhole and porcupines are the major attractions of this park. Presence of grassy swamps is ideal for inhibiting snakes as well. Overnight at Hotel. Travel East from Nagarhole on your way to Bandipur National Park. Arrive and check in into the forest lodge. Bandipur National Park lies on the halfway down to the Mysore-Ooty highway. India's best-known wildlife reserves - Bandipur National Park is situated within Chamarajanagar district in the southern Indian state of Karnataka, and joins the south Indian states of Tamil Nadu & Kerala. Bandipur National Park begins to blossom in all its beauty. The native birds start their breeding activities. The grasslands with sprouting grass are dominated by elephants and the majestic gaur. Bandipur is a paradise between April to October, for the tourist coming to watch the larger mammals in their natural habitats. During the summer season, when dryness exists over most parts of Bandipur, the backwaters of the Kabini Reservoir in the northwestern part of the park entertains huge gathering of large mammals, especially the elephant and the gaur. This rare character of Bandipur National Park makes a breathtaking view, and is almost the only one of its kind in Asia. Enjoy park safari and enjoy your time in natural surroundings of Mother Nature. Overnight at Hotel. Enjoy a full day's jungle tour in Bandipur National Park. Here you can see elephants, gaur, different species of deer, monkeys, porcupine, many varieties of birds, monitor lizards, sloth bear, civet cats and leopards and tigers. Overnight at Hotel. Drive to Ooty, a beautiful hill station in Tamil Nadu. On arrival check into the hotel. Afternoon visit the Botanical garden, Doddabetta Park, and tea plantations. Overnight at Hotel. Full Day excursion to a Toda Tribal village. See the life of the Toda people, who live close to nature. Their handicrafts and hand woven shawls in bright red, white and black colors make interesting souvenirs of your trip. Overnight at Hotel. Drive back to Bangalore to board the flight to your onward destination.